Years ago, living the dairy-free life could really make you scream for ice cream. Basically, the only choice for vegans and the lactose intolerant was sorbet—um, not the same. Fortunately, with the nut milk craze came a whole freezer full of “nice creams” made with coconut milk, almond milk, and even cashew milk, all of which are super decadent and creamy. But just because there are so many options now doesn’t mean that they’re all equally healthy—or, for that matter, delicious. 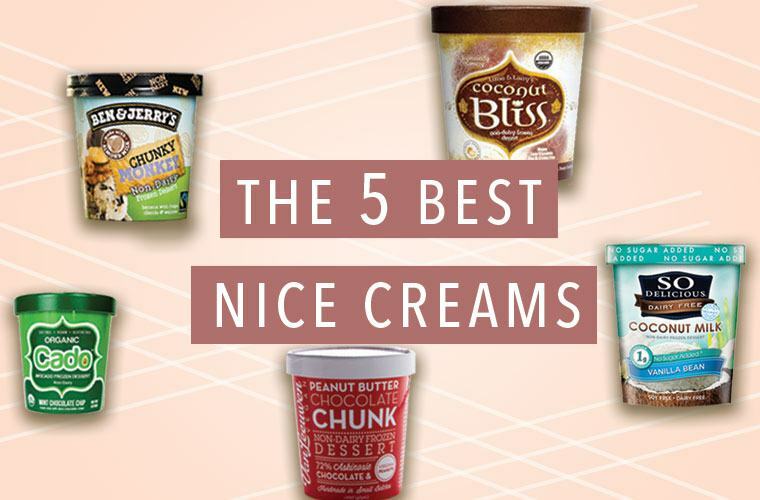 So the discerning team at Well+Good selflessly took it upon ourselves to try as many nice creams as we could, in order to vouch for the ones that are the absolute tastiest. (It’s a tough job, but….) 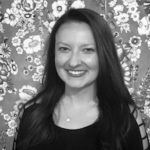 We also got triple-board-certified nutritionist and FoodCoach founder and The Archetype Diet author Dana James, MS to help pinpoint the healthiest pints from the ones we sampled. We’ll co-sign that. Many, many spoonfuls later, the rankings are in—these are the five brands that got top marks for both taste and nutrition profile. Scroll down for the five healthiest (and best tasting!) vegan ice cream brands. So why does she favor a pint made with coconut and cashew over ones made with almond? “Almonds aren’t as fatty, so they’re not going to be as creamy. You’re going to end up eating more to feel satisfied,” she says. The only con? One pint was $11—almost double what the other brands cost. So be prepared to truly savor every bite. As the first avocado-based ice cream brand (yes, you read that right), everyone was curious to try Cado. Could it be the next avo cocktail or—gasp!—toast? “It’s not as creamy as some of the other ice creams, but it still tastes delicious, and definitely not like frozen avocados,” one editor remarked. With each flavor comprised of five and seven components (all organic), James was a big fan. “The ingredients list is beautiful,” she raves. Made with coconut milk and agave, the sweet taste won editors over—at least the ones who like coconut. “I could definitely Netflix and chill with the chocolate peanut butter flavor,” one editor said. “I like that it’s sweet without being overwhelmingly so,” another remarked. Still, because coconut milk is the only nut milk used, it was too strong for a few palates particularly sensitive to the flavor. “It’s overwhelming—I literally can’t taste anything but coconut,” one editor complained. When it came to the ingredients list and nutrition info, James approved. “I like that everything is organic and, even though there are a lot of ingredients, it’s all real food,” she says. So Delicious uses cashew milk, and while a few editors thought it tasted a tad too nutty, most were into it—”it’s, like, actually so delicious,” one staffer quipped—and everyone was a fan of the creamy texture. Besides cashew milk, it’s made with cane sugar, sea salt, acacia gum, guar gum, and then whatever the flavor is. “It’s not organic, but there aren’t a ton of ingredients in there, which is good,” James says. Even though some of the nice creams used an alternative sweetener like agave or monk fruit, James didn’t have a major problem with the ones made with sugar, like this one. “A little sugar is okay, and it’s something the body knows how to digest, unlike some of the alternatives, which are still widely a big question mark,” she says. “Plus this is your dessert—it’s going to have sugar.” Point taken. The beloved ice cream brand released its almond milk-based vegan line in 2016—and the lactose-intolerant staffers who have lived a life devoid of Chunky Monkey greedily dug in, raving about the rich flavor profile of the various pints. But those who grew up with the brand could tell the difference. “I expected that this would be the closest to ‘real ice cream,’ but the consistency was a bit underwhelming,” one remarked. Overall, people thought it wasn’t as creamy as the others. James likes the fact that the Fudge Brownie flavor contains pea protein, upping the nutritional value a little. But, she warns, “it contains liquid sugar, which is the most addicting form of sugar.” Maybe that’s why there was hardly any left at the end of our little nice cream social. Originally posted July 29, 2016. Updated July 2, 2018. If you want to make your own nice cream, here are three recipes to try at home. And here are the desserts that are so healthy that even Tom Brady and Gisele Budchen dig in.